Description: young people love alcohol celebrating nightclub cheers wine and raising it up high in the air. Ecstatic friends with champagne talking at party in club. 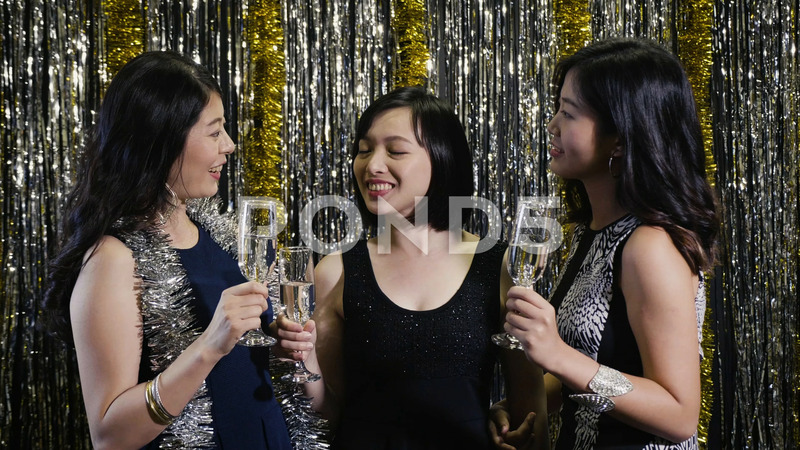 group of girls chatting joyfully.